Know H L Bourgeois HS Class of 1978 graduates that are NOT on this List? Help us Update the 1978 Class List by adding missing names. 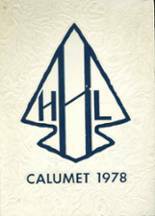 More 1978 alumni from H L Bourgeois HS have posted profiles on Classmates.com®. Click here to register for free at Classmates.com® and view other 1978 alumni. If you are trying to find people that graduated in '78 at H L Bourgeois in Gray, LA, check the alumni list below that shows the class of 1978. Don't forget to upload your H L Bourgeois High School pictures and check on the latest info about any H L Bourgeois High School reunion.